“Students should not need to be scared to come to school. We should not be having to fight for our right to a safe education because that should be a given,” Solomon said. A 15 year-old has been accused of opening fire in a common area of Marshall County High School on the morning of Jan. 23. Two fifteen year-olds were killed and eighteen others were injured in the event. Kentucky lawmakers have put forward a few proposals to try and prevent future school shootings, but no bills have generated widespread support. They’ve also advanced a bill that would require schools to employ mental health professionals to recognize symptoms of trauma in students. Gov. Matt Bevin has said he won’t support any new gun restrictions, though he does support arming teachers and school employees with proper training. Isel Spears, a student at South Oldham County High School, said she doesn’t think teachers should be armed. At least 200 students attended the rally in Frankfort and more than 3,000 student rallies took place across the country according to NPR. Students at the Kentucky rally pushed for a variety of issues ranging from safe storage of guns to raising the age to purchase an assault rifle to boosting school safety. Kentucky Secretary of State Alison Lundergan Grimes, a Democrat, applauded students for protesting. Gabriel Parker, the accused Marshall County High School shooter, procured the pistol used in the incident from his parents’ closet, according to the Ohio Valley ReSource. Democrats in the state legislature have proposed a variety of gun control bills, including penalties for unsafe storage of guns, though the bills have not advanced. Senate Judiciary Chairman Whitney Westerfield, a Republican from Hopkinsville, told OVR that the unsafe storage bills still have a chance to pass. “We are talking about it. It is not dead,” Westerfield said in the story. 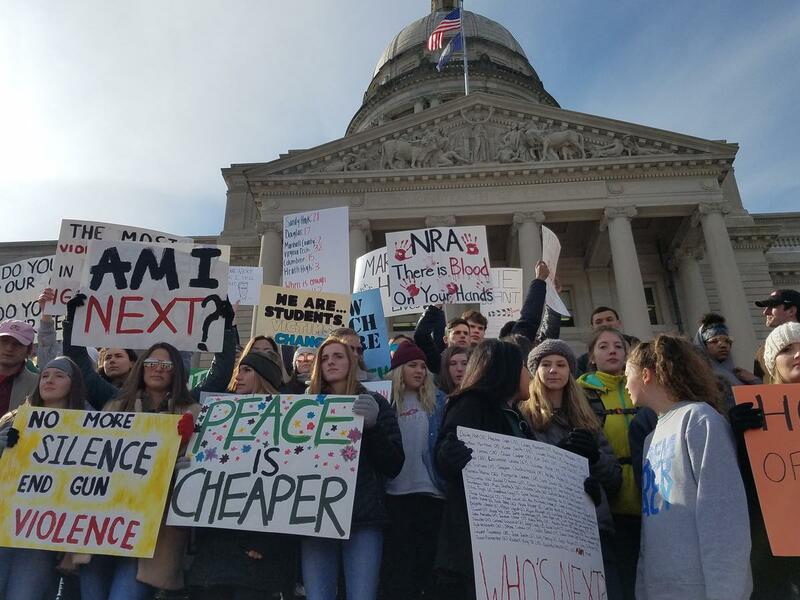 Mattie Dunn, a student at Marshall County High School, said it was meaningful to see students from around the state and country rally against a common cause.